In the past, migrant children who did not have Thai ID cards were not able to study at Thai schools. However, in 2008, the Thai government removed this restriction for migrant children. 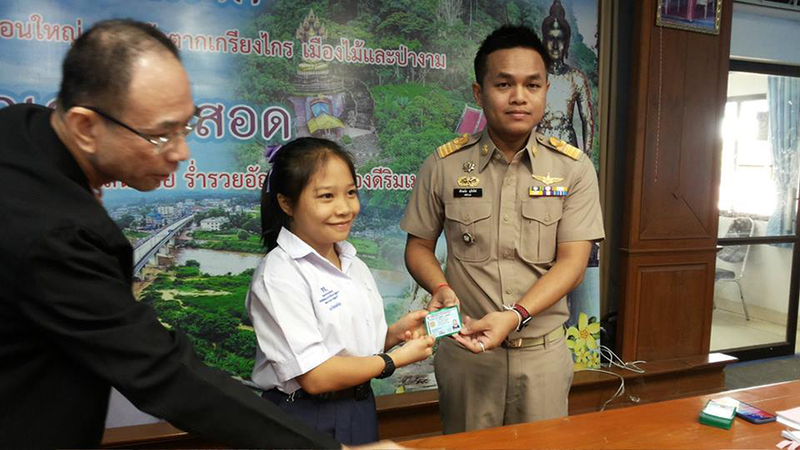 A Thai official presents a Thai citizenship ID card to a girl being raised in an orphanage for children of migrants in Mae Sot, Tak province, Thailand, on Feb. 4, 2019.